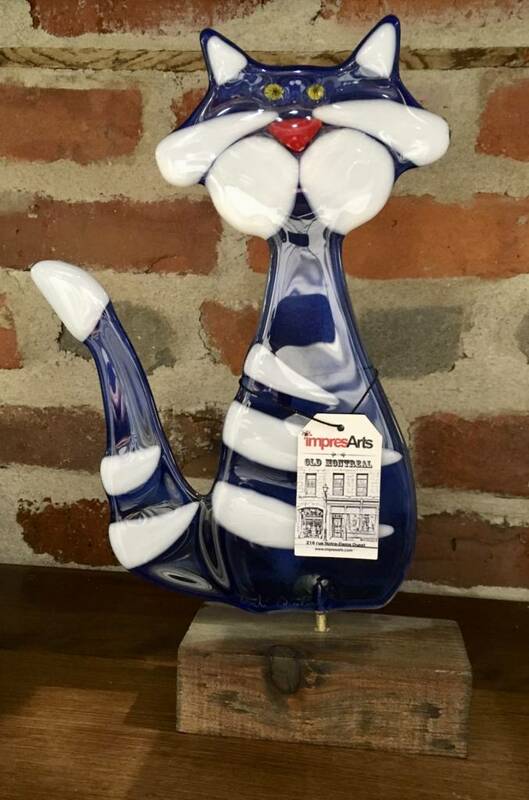 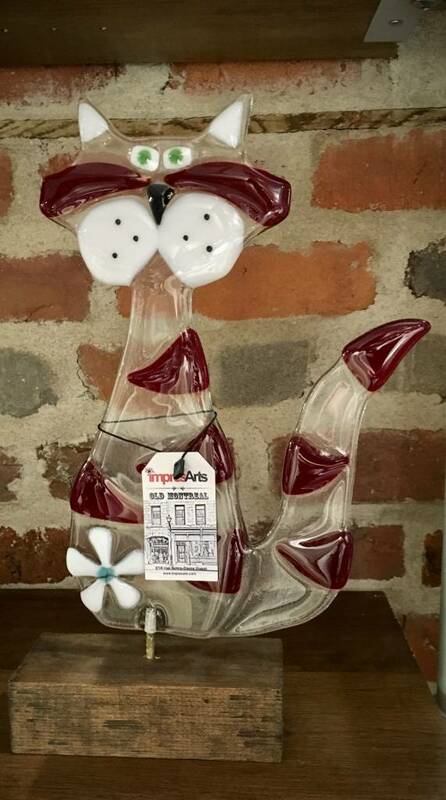 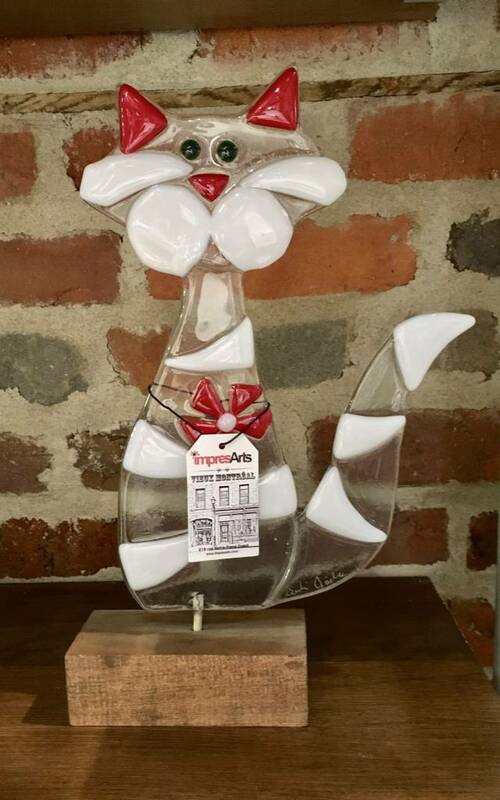 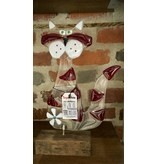 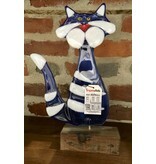 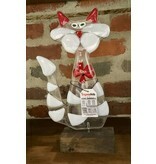 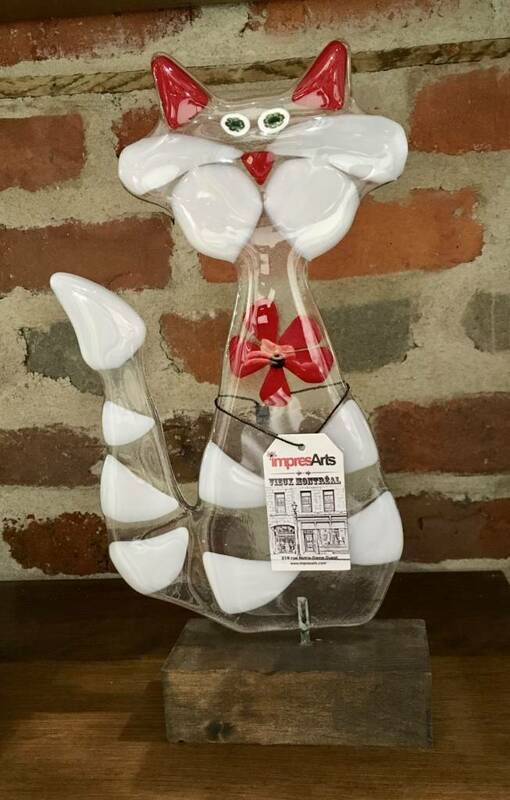 Decorative cat in fused glass and wood. 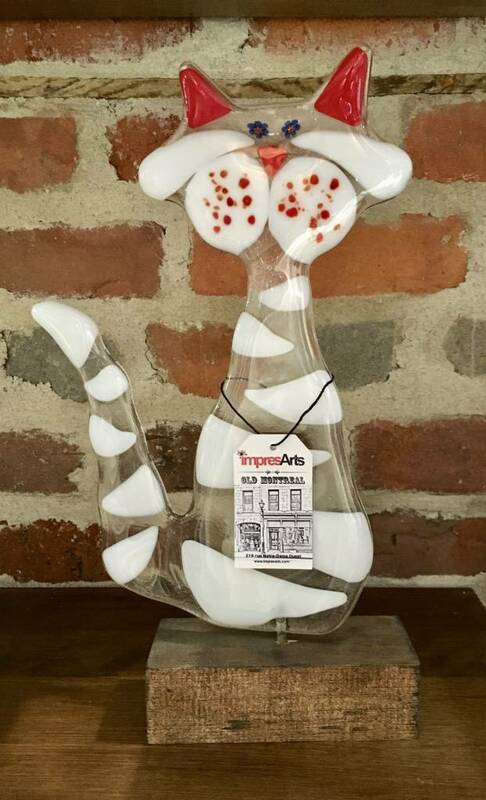 Unique creation handcrafted by Quebec artisan passionate about glass and ceramics. 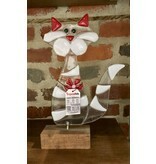 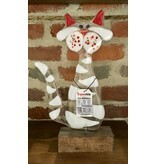 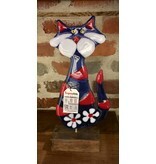 A little kitty decor for cat lovers.